The word 'monitor' doesn't really apply to this cheap - yet effective - gadget from Maplin. 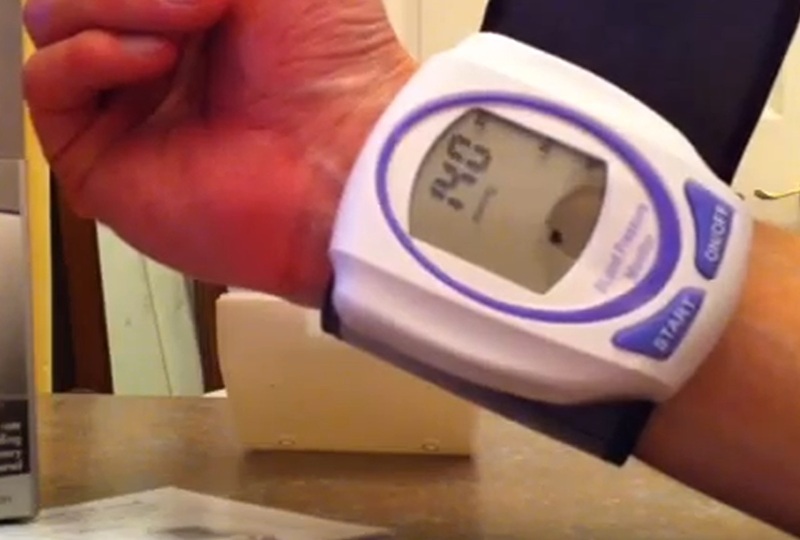 It measures your blood pressure using a standard pressure gauge wrapped around your wrist, but doesn't give a continuous readout of your blood pressure the way that a true 'monitor' would. It is quite quick, however, and you'll know your systolic and diastolic pressures within 30 seconds. Most people will have had their pressure taken using an inflatable strap around their upper arm, and it causes a minor discomfort as the blood flow is restrictud. This gadget is the same, pumping in air as it raises the pressure to around 190mmHg and then slowly releasing the air until the pressure is around 60mmHg. There is no memory, so you can only see the last readings it took. Use of this unit should not replace regular medical examinations. Please remember that only a medical practitioner is qualified to interpret your blood pressure measurements. Consult a doctor if you have any doubt about your readings. Do not attempt to service, calibrate or repair this monitor. The vertical position of your wrist and the monitor - level with your heart - is very important for consistent and meaningful readings. You should sit with your measured arm across your chest, and its elbow supported by your spare hand. If you hold your arm up when taking a measurement, the readings will be much too low; I managed a reading of 70/38 like this. You also want to try and keep calm and still during measurement, and don't do a re-test within three minutes.